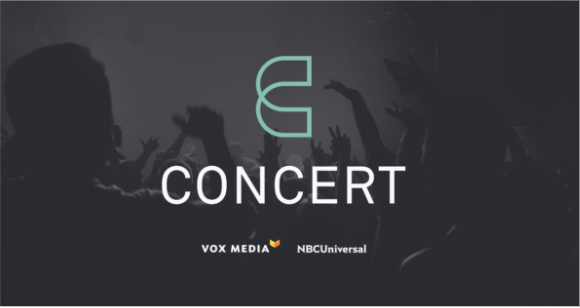 Vox Media, NBCU, and Conde Nast came together to build Concert – a publisher led marketplace that guarantees brand safe and premium ad placements. Collectively Concert pitches stats like 200M+ monthly uniques, 12x better engagement than similar offerings and reaching 99% of millennials. Concert allows scale and drives results without sacrificing quality or brand safety. And combined first and third party data from NBCU, Conde Nast, and Vox enables differentiated targeting. Learn more about Concert here.